None yet, submit your photos and be the first. This intersection station is the airway beacon designated as 40b on the Klamath Falls (V-1) Aeronautical Chart. 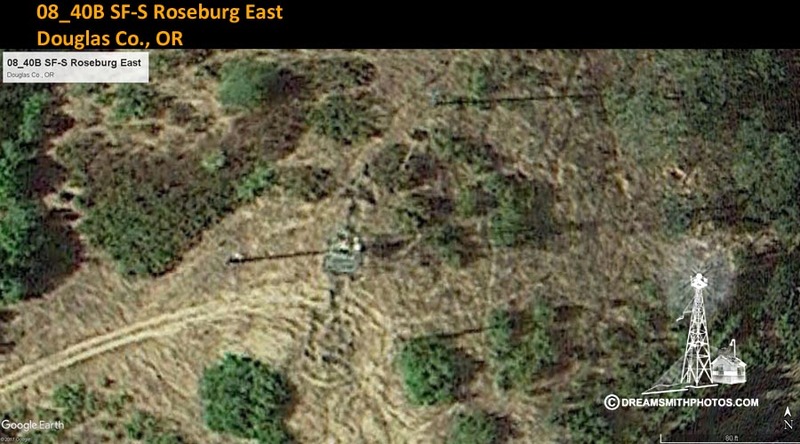 It is located on a low bare hill about 1 mile SW of Roseburg and about 0.2 mile w of the Umpqua river, and is visible all over the city. a standard airway beacon, a steel structure supporting a revolving light. Station Recovery (1971) Recovery Note By National Geodetic Survey 1971 (LFS) The Station was recovered in good condition as described. airline distance and direction from nearest town 1.0 mile southwest of Roseburg. Station Recovery (1979) Recovery Note By National Geodetic Survey 1979 (RPD) Recovered as described in good condition. Airline distance and direction from nearest town--located 1.0 mile southwest ROSEBURG.